TRITON-TX are our pin-compatible family of production-ready modules based mainly on the Freescale i.MX family of ARM9 and ARM Cortex-A8 / ARM Cortex-A9 processors, including i.MX25, i.MX28, i.MX27, i.MX51, i.MX53, and i.MX6 including i.MX6 UltraLite as well as the quad ARM Cortex-A53 Snapdragon 410E from Qualcomm. Like other TRITON products, TRITON-TX modules combine longevity, quality and production-ready Windows CE, Android and Linux BSPs. 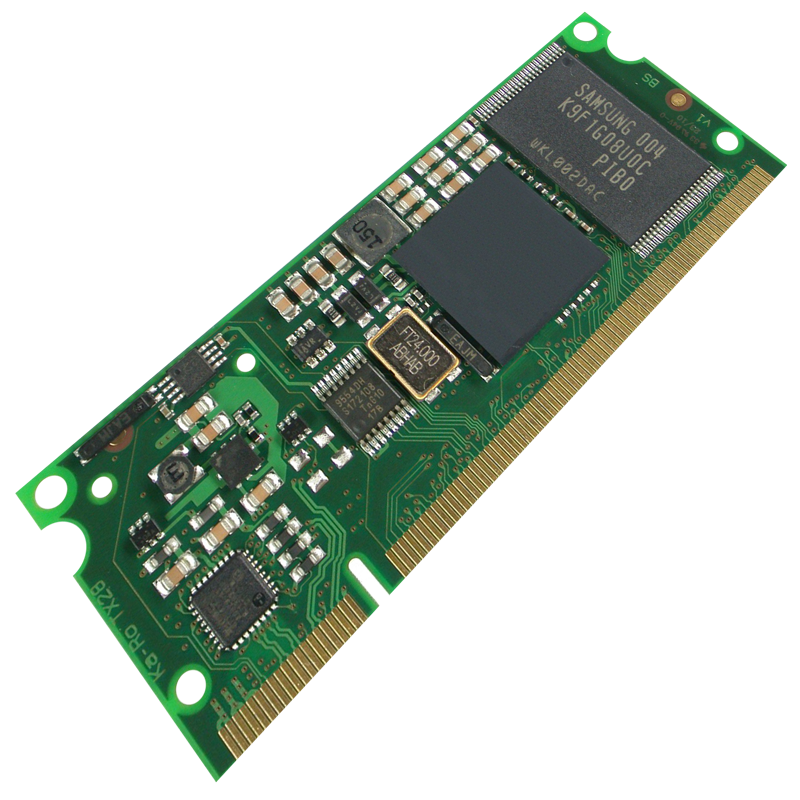 TRITON-TX system-on-modules are ingeniously implemented on a tiny DIMM200 form-factor, ready to be incorporated into your product manufacture or prototype, and come complete with a Mainboard-7 development system, supplied running Windows CE 6.0, Windows Embedded Compact 7 / 2013, Android or Linux. 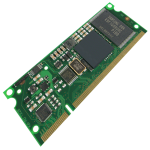 TRITON-TX28S – ultra-low-priced module based on i.MX283 – 454MHz ARM9, the TRITON-TX28S is our lowest-priced module for general-purpose, high volume, commercial temperature grade applications with Windows Embedded CE 6.0, Compact 7 or Linux. TRITON-TX6ULL – TRITON-TX6ULL High performance, low-price, low energy module based on Freescale i.MX6 ULL processor. For general-purpose use, with Linux BSP. TRITON-TX6UL – TRITON-TX6UL Very low-price, low energy module based on Freescale i.MX6 UltraLite processor. For general-purpose use, with Linux BSP. TRITON-TX28 – high performance ARM9 module with 454MHz i.MX287, dual-CAN, dual-Ethernet, DDR400 RAM. Thanks to a high memory bandwidth, while only a little more expensive than TX25, the TRITON-TX28 can handle larger displays, and is also ideal for handheld devices. TRITON-TX53 – ultimate multimedia module with 1.2 GHz i.MX535, ARM Cortex-A8, enhanced OpenGL ES 2.0 graphics, dedicated video codec capable of 1080p HD decode, dual display LVDS, CAN, 3.3v I/O. 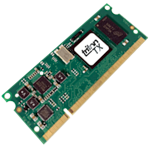 TRITON-TX6S – versatile single-core ARM Cortex-A9 module with 1.0 GHz i.MX6 Solo, accelerated graphics, dedicated video codec capable of dual 720p encode, 1080p60 HD decode, dual display LVDS, HDMI, PCIe, CAN. TRITON-TX6DL – powerful Dual-Core, Industrial Spec. 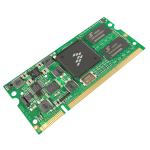 ARM Cortex-A9 module with 1.0 GHz i.MX6 Dual Lite, 512MB or 1GB RAM, accelerated graphics, dedicated video codec capable of dual 720p encode, 1080p60 HD decode, dual display LVDS, HDMI, PCIe, CAN. TRITON-TX6Q – high performance ARM module with 1.0 GHz i.MX6 Quad, 1GB DDR3-1066RAM, Quad Core ARM Cortex-A9, accelerated graphics, dedicated video codec capable of dual 720p encode, 1080p60 HD decode, dual display LVDS, HDMI, SATA, PCIe, CAN. GBe capable. 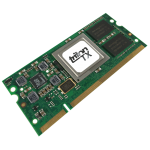 TRITON-TX6QP – ultimate, industrial-spec ARM module with 800MHz i.MX6 Quad Plus offering enhanced memory bandwidth and graphics, 2GB DDR3, Quad Core ARM Cortex-A9, dedicated video codec capable of dual 720p encode, 1080p60 HD decode, dual display LVDS, HDMI, SATA, PCIe, CAN. 4GB industrial pSLC eMMC. 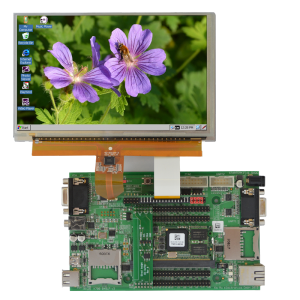 Mainboard-7 Development Kit with Windows CE and Linux BSP. The Mainboard-7 ships with the chosen module installed and OS running. An optional 640×480 capacitive touch screen display completes the picture. 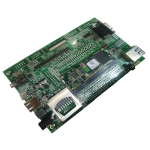 TRITON-TXFB Family ARM production-ready baseboard – A production-ready baseboard which turns a TRITON-TX module into a complete ARM-based SBC, ready to use in your product. Longevity is a major issue for ARM-based system-on-modules, as they don’t conform to any industry-standard pinout. Since the first system-on-module shipped in 2002, we have guaranteed the lifetime of our products. For our i.MX based products longevity guarantees are underwritten my Freescale, who offer 10 to 15 year minimum lifetimes for the i.MX ARM-based range. We expect to shadow the Freescale lifetimes and additionally offer our customers a contractual 7-year longevity guarantee for TX-modules. We are still shipping every TRITON system-on-module model that we have introduced, since 2002, and believe that the best test of any supplier in this regard is to ask both what they guarantee for the future, and to ask about the products that they were promoting 5 years ago. Many vendors introduce new products at such a rate that products generally disappear after as little as a year, and never reach a state of stable, complete software support. Because the TRITON-TX modules are manufactured in a high-quality small-batch production facility within the EU, there are never problems with manufacturing standards or with supply. If you order 100 modules and we don’t have them in stock, we will make them. Often, modules are produced in large batches by volume-oriented contract manufacturers in the Far East, and once they are gone, they are gone, until orders for at least 5,000 accumulate in order to justify a run. Our BSPs for both Linux and Windows CE are complete, and are designed so that you can use them without further development or modification. One of the key advantages of the system-on-module approach is rapid time-to-market, and this cannot be realised if there is an unknown amount of extra work to be done to achieve a complete production ready hardware + software platform. The TRITON-TX modules offer a high degree of pin-compatibility. It is therefore possible to design baseboards which are ready for different TRITON-TX family members, so that decisions on processing power can be deferred until the application is finished and tested, without delaying completion of hardware design. Additionally, products may be upgraded as new, more powerful TX modules become available. We are experts in what we do. For example, our status as a Windows Embedded Gold Partner means that we are among a small number of companies who work closely with Microsoft because our expertise in Windows CE is at the very highest level. This level of knowledge means that you can be absolutely confident of success in your project, thanks to our ability to support you, and to quickly resolve any problems which may arise along the way. Find out more about our support and services.